When you’re planning to invest in a website, one of the first things you need to think about is not just the content, but how it’s going to look and the platform you’re going to use. WordPress is the most popular platform in the world, used by small businesses and major corporations like Forbes, Sony and CNN. It’s incredibly customizable, easy to use and has over 2000 themes and 27000 plugins (free and premium). 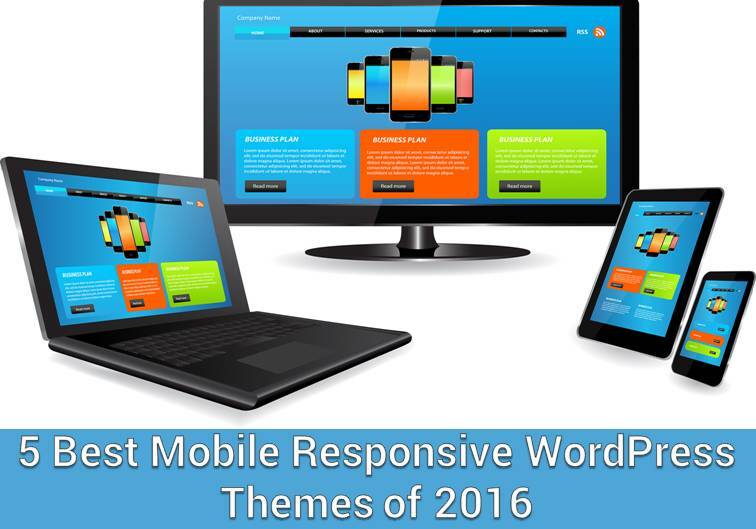 Having so many to choose from can be confusing, so we’ve narrowed it down to a list of mobile-responsive webdesign themes that are some of the best of 2016. Sydney is a great free theme for businesses and freelancers who want to establish their presence online. It comes with extensive customization options including 600 Google fonts for typography, full control, logo upload, parallax background, sticky navigation and more. Uncode is a premium visual-heavy theme that’s well-suited to a creative brand. It’s structure and layout favors minimal copy and incorporates HTML5 coding, CSS3 styling, and Bootstrap design. Uncode is built to load fast which makes it perfect for slow connections. Kalium is a clean premium theme for portfolios, blogs and business websites. It includes the Revolution Slider feature which lets you create eye-catching slides. You can also add custom animation, effects, and transitions. ColorMag is a favorite theme for a publishing website. The functionality is basic but impressive – the homepage has widgets that make it easy to manage page elements and manage contributors from the backend. It has spaces to list ads as well as access to social media buttons like Facebook and Twitter. Enlightenment is a content-focused theme that uses plenty of white space to highlight your copy. It has unlimited layouts and allows you to implement up to four columns, along with sticky posts, threaded comments and translation support. Enlightenment is a lightweight, responsive theme for every kind of business. Get a stunningly beautiful website that reflects the personality of your brand and is made to last. Get your website crafted by the team of specialists at Global Media Insight, Dubai’s premier web design agency. Get in touch with us for a free consultation.